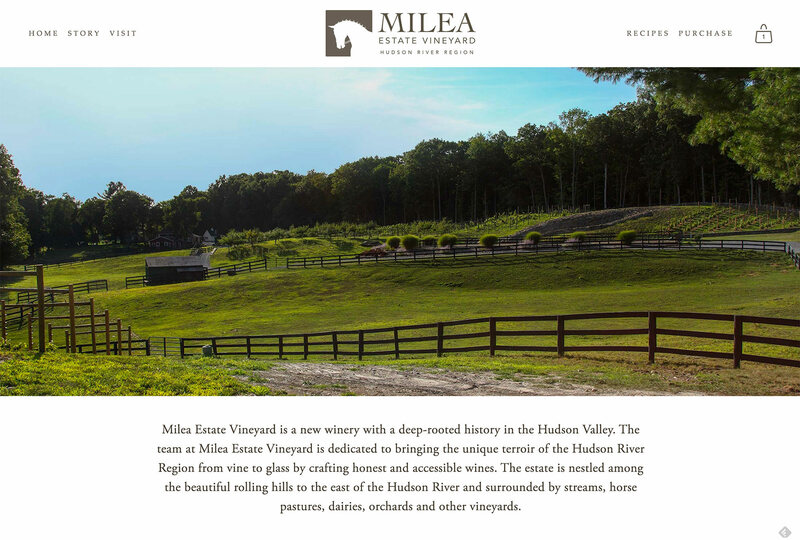 Milea is a new vineyard and winery in New York’s Hudson River Region. 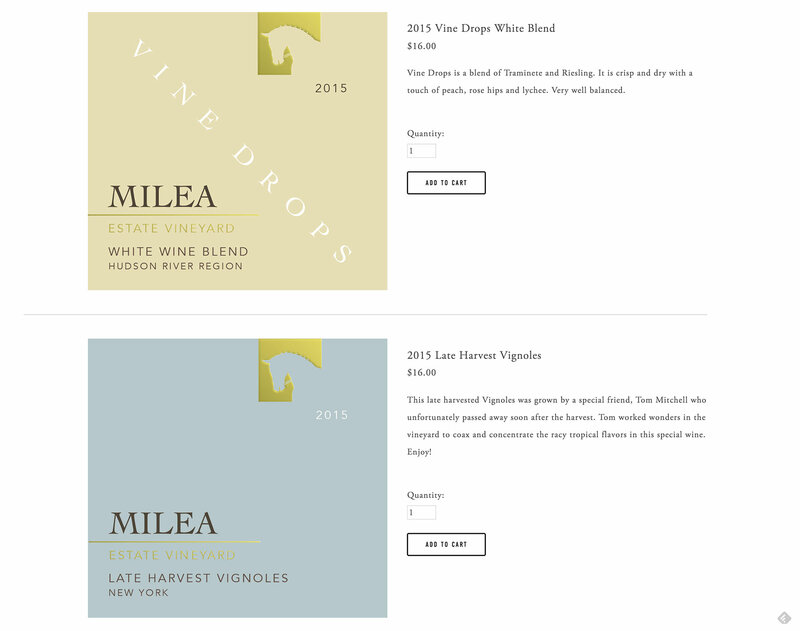 Their first vintage in 2015 received numerous awards and accolades, and the decision to expand production and build a tasting room meant it was time for a high-quality website to tell the Milea story. 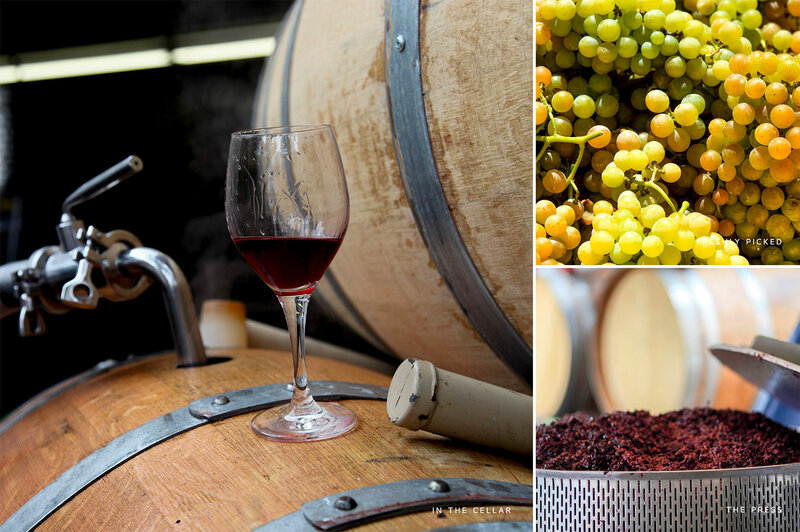 This website was built on Squarespace and features a clean white background, elegant typography and ample use of photography. 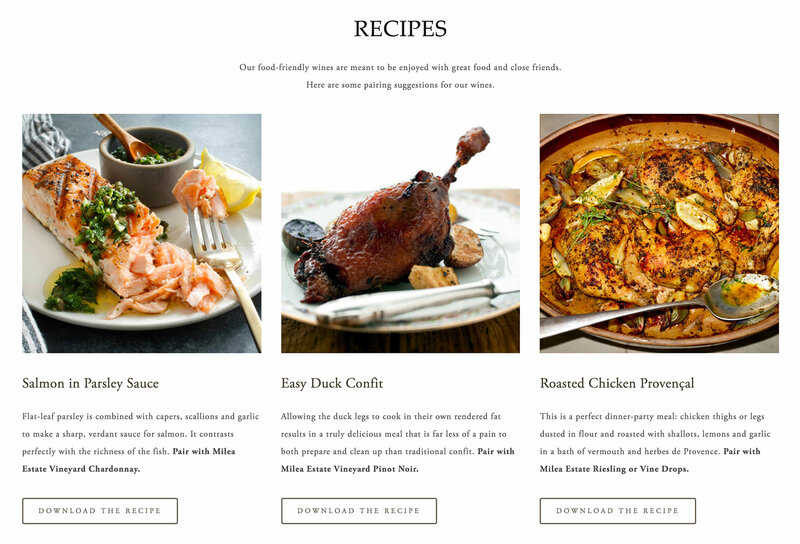 The online store is also built in Squarespace ecommerce and allows easy online sales to certain Northeast states.